Moscow gold or comedy gold? At this distance in time, it’s possible to enjoy the Cold War in Australia as entertainment, even if it was rather serious for forty years. A bad habit of communist parents in the 1940s was to name their infant sons after Joseph Stalin. An Adelaide friend of mine, Joe Lane, who now does archival research on Aboriginal history, was named after Stalin. A worse case was Patrick Brislan, who became a distinguished player of the tenor horn. Pat’s father, Tom, in 1940 registered his new infant as Patrick Stalin Brislan. Patrick was mortified whenever asked officially for his full name. After Stalin died in 1953, “he lived on in my middle name”, Pat laments. It was not until he was nearly eighteen that his father changed the middle name officially from Stalin to Sean. ASIO so riddled the Communist Party of Australia (CPA) with agents that in the 1960s they comprised 10 to 20 per cent of total party membership. ASIO mobilised them to stir up rancour during the Sino-Soviet split in 1963. They would call for party-room debate and then some would take a pro-Soviet line and others a pro-China line. Another operation, coded “Curried Chicken”, involved ASIO encouraging a wide group of supporters to write letters to the editors of newspapers, supporting ASIO and condemning the CPA. In Perth, two ASIO agents in the CPA, to curry favour with party bosses, were writing to the newspaper supporting the CPA, while other ASIO contacts were orchestrating letters attacking the CPA. None of these letters were published, so “Curried Chicken” was a waste of time. In the 1950s, through no fault of its own, ASIO found itself with four agents in the Australian-China Society in Brisbane, none of whom were aware of the others. This came about because all four had been infiltrated into the CPA in Brisbane. The party had then selected them to join the small Australian-China Society branch and turn it into a party front. ASIO exfiltrated three of them to other tasks, taking the view that one agent was sufficient for promoting Australia-China friendship. Mark Aarons is the son of one-time CPA president Laurie Aarons. Mark’s ASIO file started when he was thirteen, when cunning ASIO agents acquired his entry forms for the 100 and 220-yard races at a young communists’ sports carnival. By the time he finished high school in 1969, his file had reached 300 pages, and ASIO operators were conducting spoiling operations against his girlfriends. I particularly like the way ASIO agents tripped up the CPA’s top-secret leadership school in the bush outside Sydney in 1958. The CPA was annoyed with ASIO’s penetration of its regular meeting places, and bought a property at Minto which it re-birthed as the “Bush Lovers Club” for revolutionaries revelling in Georges River eucalypts. ASIO kept a watching brief on the bush-lovers, who included at least one of their own agents. On a Sunday night, ASIO launched “Operation Black Snake” as a spoiler for an important Marx School seminar on the Monday public holiday. This essay appeared in a recent edition of Quadrant. Agents Ron Richards and Max Monkhouse drove to Minto with specially-prepared signage: “Communist Training School, 10 miles.” They attached these signs to existing street signs on the way in. ASIO telephone taps later found one party member congratulating Eric Aarons, then secretary of the CPA’s South Coast District, on this help with directions. Aarons was nonplussed and the member said, “It is very nice—nice big letters in black and white. The Main Roads put it up I think. It is very handy. I have been trying to find that place.” ASIO tipped off the press, but party president Richard Dixon denied all knowledge of bush-loving Marxists. These low-life episodes can be contrasted with a high-life one, or at least a potentially high-life one, from two decades earlier. It involved CPA secretary-general Lance Sharkey. Sharkey was a one-time lift-driver, short, scruffy, stodgy and unsociable. He rose through the CPA ranks before the Second World War as an ardent Stalinist and purveyor of mind-numbing communist dialectics, after occasional setbacks like being tossed into a creek by factory workers during a state election campaign. While claiming, “We have no personal ties in the Communist Party,” he jostled with Sam Aarons for the hand and other parts of beautiful young member Esme Odgers. Not being a good loser, Sharkey forced her to publish a grovelling Soviet-style self-criticism for the romancing Aarons. Sharkey would deliver anti-Semitic rants during rum-fuelled binges, which didn’t go down well with the Aarons clan, and at one large CPA gathering he fell on his face dead drunk. He generated his own personality cult, including such improbabilities as “temperate in his habits”. For his part, Sharkey did not want to don black-tie and quick-step with Her Majesty while making small talk about the class struggle and social fascists. Au contraire, he warned members to avoid the royal progress to avert any “red scare” stories in the press. ASIO ran rings around Sharkey. On one occasion he flew to Canberra to pick up from the Soviet embassy some sensitive documents about the latest Soviet party congress. Two ASIO agents were at Sydney Airport’s carpark to tail him on his return. Sharkey drove off to the city but stopped at a betting shop to put some money on a horse. He left one car window slightly down and the agents used a wire to open the door and remove his briefcase with the documents. By day’s end the briefcase was at ASIO’s Melbourne headquarters and Sharkey was perplexed about what happened to it. CPA security was often woeful. ASIO checked the garbage after one important party national congress and pieced together close to forty documents from scraps that delegates had torn up. Pat Clancy of the Building Workers Industrial Union left his conference notes in his unlocked car while he went to the pub. ASIO agent Ernie Redford nicked them, got them copied at Sydney headquarters and put them back in the car, with Clancy none the wiser. An important ASIO target was Sharkey’s secretary Jessie Grant, who was also a central committee member. When ASIO noticed that she was drinking and playing darts regularly at a local hotel, it sought a “darts champion” among ASIO staff to insert at the hotel. While ASIO people had many talents, darts was not one of them and the plan had to be dropped. I mentioned “Moscow gold” earlier. Happening to read Mark Aarons’s memoir The Family File the other day, even I was surprised at the extent of this gold, and its esoteric transmission routes. In 1952 the CPA suggested to Vladimir Petrov that the Soviets donate US$140,000 (no harm in asking!). Moscow came good with US$25,000 a year later, partly in US$25 banknotes, Petrov told the 1954 Royal Commission on Espionage. Such $25 banknotes had never been printed but the Commissioners accepted that CPA boss Lance Sharkey got the US$25,000 from an embassy official. In 1958 Laurie Aarons was in Moscow rattling the CPA can for more fraternal funding. “The Soviet comrades were rather bureaucratic and crude in their methods and I wasn’t impressed,” Aarons confided later. Early in 1959 he got a message to be at his Fairfield home at a certain day and time, Laurie’s son Mark Aarons says. The house had a tall paling back fence with double gates and through them came a car that pulled up in the backyard. Out came a Romanian with a suitcase. He went inside with Laurie and they pointedly shut the door. But the handover hit a snag: the suitcase was full of bank­notes, but they were all five-pound sterling notes, almost impossible to change to Australian money. Laurie had to send them back. Eventually a suitcase arrived with Australian pounds. In that year the Soviets paid over $US112,000, a hefty AU£45,000 equivalent. The Soviets’ golden showers continued in 1961 (either US$168,000 or US$180,000), 1963 (US$80,000) and 1966 (US$130,000). In 1967, Laurie Aarons wheedled a further large sum out of Moscow, despite knowing that the CPA was about to publish criticisms of the Soviet line on the Czechs. “I suppose you could say it [getting the money] was a rather reprehensible thing to do,” he said later, “but frankly I’m proud of it.” The money helped buy the CPA a new national headquarters in Day Street, Sydney. When the pro-Soviets in the CPA split to form the Socialist Party of Australia in 1971, Moscow sent the SPA US$40,000 via the Romanians. The Chinese chipped in later with a slush fund for their own Australian followers, involving $60,000 in used Australian notes. In Life of Brian, you can enjoy the sniping among the various Judean People’s Fronts. The spoof hardly touches the sides compared with the real-world Australian communists. Numbering some 3000 in 1980, they had split into eight camps—two in the mainstream, two pro-Soviet, two pro-Beijing, one ultra-Left group of young radicals and a breakaway among the Stalinists. It was hard for ASIO people in a small city like Canberra to maintain their cover stories about who they worked for. One section’s officers were young, had money and drove nice cars, and neighbours were convinced they were a clandestine group of homosexuals. Whitlam sacked Barbour after Barbour returned from a lengthy but unproductive overseas trip reviewing counterpart agencies, accompanied by his beautiful Eurasian secretary. A passionate, highly intelligent, charismatic man with a glamorous history … He bends me back on the desk in his office, but before we can consummate our affair we are interrupted by the old Party caretaker, locking up for the night. Dorothy and Sam lived in a ménage à trois with Sam’s unwitting wife, until Dorothy found another lover while Sam was on Party business in the eastern states. Molly Sasson worked for ASIO from 1969 to 1983. She arrived to find Canberra headquarters infested with public service sloths in an ambience of complacency, unawareness, inefficiency, indiscipline and incompetence. Long lunches were followed by afternoon snoozes until knock-off time. Vital intelligence was tossed straight into unlocked drawers and left there for months. Her suggestions for anti-espionage activity were brushed aside as make-work. Flying aeroplanes had been his business, distinctly different from this office where very little moved at all. After this episode, some of his eagerness disappeared and he reverted to reading the newspaper in the office, drinking coffee and doing crosswords before lunch. He kept well out of the way of anybody who was likely to give him a job. He had understood it was the safest way to get ahead without upsetting anyone. This was the way to get promoted. Sasson’s reference to ASIO drawers full of neglected intelligence had its counterpart at Communist Party headquarters in Melbourne. The Party’s captain of security was its control commission leg-man Ernie O’Sullivan, a shuffling snoop who was dedicated, ignorant and paranoid. Like a toothless version of Stalin’s “bloody dwarf”, the later-executed Yezhov, O’Sullivan scribbled semi-literate “unmaskings” of loyal Party members accusing them of being spies and wreckers. Among Party people in the Victorian branch, perhaps the most heroic was the wife of Bernard Heinz Jr (Heinz Sr was assistant secretary with the Building Workers Industrial Union). The Party in the early 1950s decided to create, yet again, a secret wing that could carry on if the Party got banned. Bernard was nominated to become a “sleeper”. He had to resign from the Party and cut links with all his leftist friends. What’s more, he was told to accommodate a senior Party sleeper plus a printing press in an underground bunker at his suburban home in outer-eastern Melbourne, where he had just settled in with his new wife. The project meant laying a concrete slab and then digging a big hole below for the literally underground operations. Initially, Party members dropped by to assist in the dig. But not all the workers’ friends have horny hands, and soon Bernard was left to dig unaided. He dug till the 1970s but his important guest and the printing press never turned up. This was all very well for Bernard and the Party, but what about Mrs Heinz? Did she mind? Apparently, she never complained, at least officially. A touch of paranoia in Party offices was understandable, given ASIO’s constant bugging and occasional raids in quest of documents. Similarly, some ASIO paranoia was understandable given Ted Hill’s advocacy of caches of buried weapons, armed struggle and protracted guerrilla warfare in the jungles of northern Australia (wherever such “jungles” may be). The ninth-floor CPA (Vic) headquarters had a drama in 1952 when Hill pressed an alarm button to signal all rooms that an ASIO raid had started. State President Ralph Gibson emptied his person of all useful documents, and ate them. Party functionary Gwladys Bourke could not work out how to get rid of her sensitive financial records. She prepared to dive out the ninth-floor window with them, a human sacrifice to the betterment of the working class. Just in time, she discovered from Hill that the alarm was only a test. ASIO bugged Hill’s office and in 1956 leased an office on the eighth floor as a listening post for a husband-and-wife team. This office was disguised as a “market research business”. The bogus firm wrote sheafs of letters to overseas suppliers purely to get letters back that would be noticed by the ninth-floor dwellers. Rather cleverly, ASIO technicians made the cable from the ninth floor to the eighth floor twice as long as required. The ASIO woman was listening in when the line went dead because Hill’s people had discovered it, and she had the presence of mind to disconnect the cable and drop it down the wall cavity. The communists measured the cable and deduced that it went to a firm of investigators on the seventh floor. They not only accused the people there of being ASIO agents, but outed the firm in the party newspaper Tribune. ASIO’s “marketing firm” on the eighth floor continued for a couple of months and then quietly closed down. ASIO’s snoopy coups against Ted Hill were often ingenious, not to mention illegal. In 1972, for example, ASIO specialists created a duplicate secret key to the Melbourne offices of an accounting firm, W. Alexander Boag, in Goodwin Chambers, Flinders Lane. ASIO was then able to enter secretly at will for the next eighteen months to photograph Hill’s tax and financial records. To aid the exercise, ASIO set up an office on the same floor for a front company, Kalamunda Mineral Reserves. ASIO never lacked ingenuity. For example, it needed covert photos of communists among Labour Day marchers in Brisbane, but its subjects were facing the wrong way from the camera post. On a pre-arranged signal, an ASIO officer lit a big cracker behind the crowd. All heads turned towards the bang, and the cameramen got their snaps. ASIO ranks were not solidly conservative. At least one ASIO officer bravely joined the Vietnam Moratorium march in Adelaide in 1970 as a supporter rather than an agent. Instead of getting into trouble, he got knowing looks from the special branch police, who assumed he was “on the job”. One of ASIO’s constant problems was agents’ expense claims. Its all-time prolific plant was Czech immigrant Max Wechsler (code-named Bosch), who generated 702 reports from 1973 to 1975, meeting his handlers initially thrice-weekly and then every weekday. He passed through communist and Trotskyist security barriers as if they didn’t exist. On February 21, 1973, according to historian Dr Phil Deery, during a single day, Wechsler, then twenty-three, applied to join the CPA, was accepted and was given the task of answering the phone on behalf of Party president John Sendy. Wechsler also acquired the part-time job of cleaner for the Party offices. Penetration doesn’t get any better than that. However, ASIO had failed to notice that Wechsler’s wife in 1972 had been convicted in Brisbane on thirteen forgery and theft charges as a result of her infatuation with slow horses. Wechsler successfully conned ASIO into lending him $300 in June 1973 to buy a motorbike “to improve his agent role”, but he sold the bike for $200 in a fit of desperation over his wife’s continued losses. Wechsler eventually turned rogue and in 1975 sold the story of his exploits to the Sunday Observer for $2000. The newspaper made the mistake of hiding Wechsler at the Wrest Point hotel and casino, where he went on a further spending and gambling binge at the newspaper’s expense. Party membership did not preclude people from becoming part of the establishment. 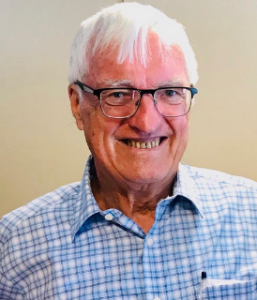 George Zangalis was a full-time organiser for the CPA from 1961 to 1969, then a central committee member, CPA candidate for Brunswick in the 1973 state elections, and president of the communist-controlled Railways Union. With such a background, he was selected in the early 1980s for the ABC’s State and National Advisory Councils and the SBS Board. “Choosing Zangalis for the national council was a sign that the new board wanted to cast its net wide in the search for counsel from the ABC’s audience,” Ken Inglis wrote in Whose ABC? You may be surprised to hear from me, in view of our former occupations. But I recently heard your interesting interview with Caroline Jones in the ABC series The Search for Meaning, and found myself in agreement with much of what you had to say. Your rejection of a society in which money becomes the measure of all things, is particularly timely. The book which you said you are writing could be a valuable contribution just now … A change in human motivation seems to be the need everywhere. Good luck with your book. Tony Thomas includes many Quadrant essays on the Cold War in his book That’s Debatable: 60 Years in Print (Connor Court, 2016). Combine that little lot with the goonish history you’ve recounted above – you really can’t make this stuff up. I swear if Aus stupidity was able to be weaponised we could easily conquer the galaxy with it. Pat Brislan played the French horn, or ‘horn’ as it is known among those who play it. The tenor horn is quite another animal. Was John Burton Australia’s Alger Hiss?